In my previous review, I introduced to you the Alpine Willow Herb Cleansing Gel, Toner and Moisturiser (oily skin range). If you are interested to know about the products, please click here. 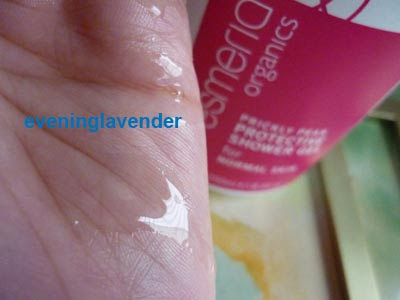 Today is the 2nd part of my review and I will be sharing with you yet another 3 Esmeria Organics products. This eye gel is made with a unique blend of plant extracts known for their ability to brighten, hydrate, soothe and repair the various signs of aging around the eye area. The gel features the powerful trinity of Brazilian Ginseng, Marapuama and White Lily – all of which are unique to Brazil and can be found in the Amazon rainforest. Brazilian Ginseng is well-known to improve circulation, heal and act as an anti-inflammatory. Marapuama was discovered by locals and then researched by scientists and is well known for its anti-oxidant properties and its ability to increase physical performance. Lastly White Lily’s anti-carcinogenic and anti-fungal properties are well documented. Together, the three plant extracts offer 5 benefits – reduce puffiness, lighten dark circles, reduce eye bags, reduce wrinkles and firm the skin around the eyes. Note: I have not seen the 5 benefits yet as I just tried this product for less than 1 month. Esmeria Organics can be found in Watson’s (selected stores), SHINS, Justlife, Caring Pharmacy, Healthlane Pharmacy, Vitacare Pharmacy, and many other organic stores and pharmacies. 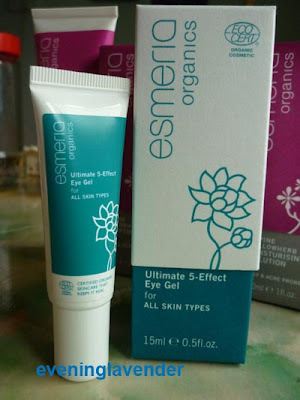 For more details, log on to www.esmeria.com or www.facebook.com/esmeriaorganics. I love to try the lotion..